Not only do women make less money than men, but they are more likely to take time out of the workforce to care for children or parents, thereby lessening their overall lifetime earnings. This can have severe implications for women’s retirement, and it turns out, women haven’t been saving enough. Scripps alumna Catherine Collinson ’85, CEO and president of the Transamerica Institute and the Transamerica Center for Retirement Studies, was featured in a CNBC article on women and retirement on March 9. Collinson says it’s never too late to make a plan and urges women to be realistic about their financial future. 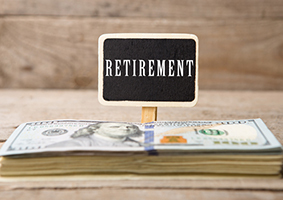 For the full story, including savings advice and understanding Social Security benefits, go to https://www.cnbc.com/2018/03/09/women-fail-to-save-enough-for-retirement-heres-how-to-fix-that.html.